There's the Museum of Modern Art, The Metropolitan, and the Louvre, but if your hankering for something a bit more magical and magnificent, you might just veer off the beaten path and find your way to a far more unforgettable museum that has been curated to a very specific genre - neon! There's a destination dedicated to the preservation of national neon treasures as significant pieces of artistic and historical importance, a haven for learning through the interpretation of electric and kinetic art collectors, and really, something for everyone on our best of list. 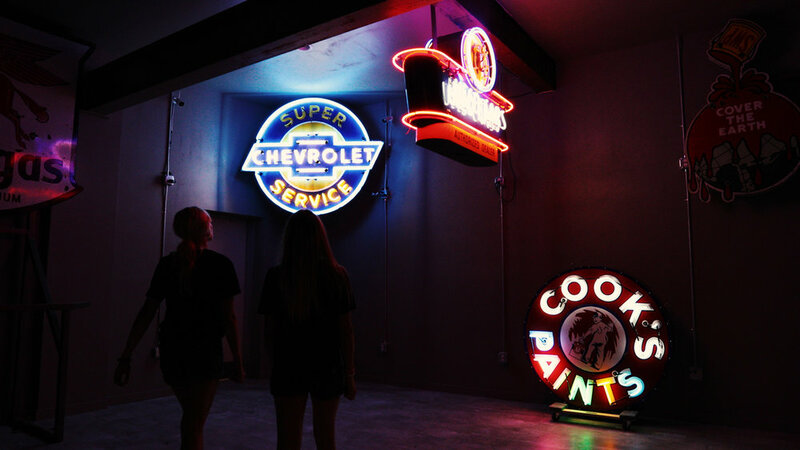 If your family is all about experimenting and making discoveries; spark their imagination with a trip to one of the best neon museums in the country. Scroll on to start planning your next neon adventure. If you love neon — and lets be real, who doesn't — then heading to The Neon Museum of Art in in Glendale is a must when visiting California. This museum looks at electrical technology and concepts of physics and chemistry behind making the electrifying examples of contemporary art. Along with all the off-site programming, visitors can book a classroom on the premises where they can watch skilled neon craftspeople fabricate neon tubing and even take a hands-on class to learn this fascinating art form. Signage fans, American history lovers, and educators will be delighted by the countries only National Sign Museum. There is much to see, from more than 20,000 square feet of electrifying signs, ephemera, and interactive displays that date from the late 1800's through the 1960's. When in the mood for an outdoor exhibition to highlight your upcoming wedding, event or photo shoot, look no further than The Neon Museum in Las Vegas, NV. There are over 120 iconic objects spread across a two acre field. Visitors can take a guided tour; purchase tickets to Brilliant!, a 30-minute show that uses light projection to illuminate vintage signs and incorporates music and archival footage to transport guests into Las Vegas' history; and get an up-close look at some of the most famous signs in history including Caesars Palace, the Golden Nugget, and the Stardust. This museum even has special rotating exhibits and an artist residency called (AIR)! In Cincinnati, Ohio, there resides a popular destination dedicated to the American history of signs and sign making. Yes, signs! After you've gawked at the more than 100 years of American masterpieces on display at The American Sign Museum, visit their storefront-laden Main Street - which recreates a typical block of Any-Town USA, with shop windows full of sign-related artifacts from way back. The classic, made to look distressed, presentation brings these signs to life before they were lost forever. 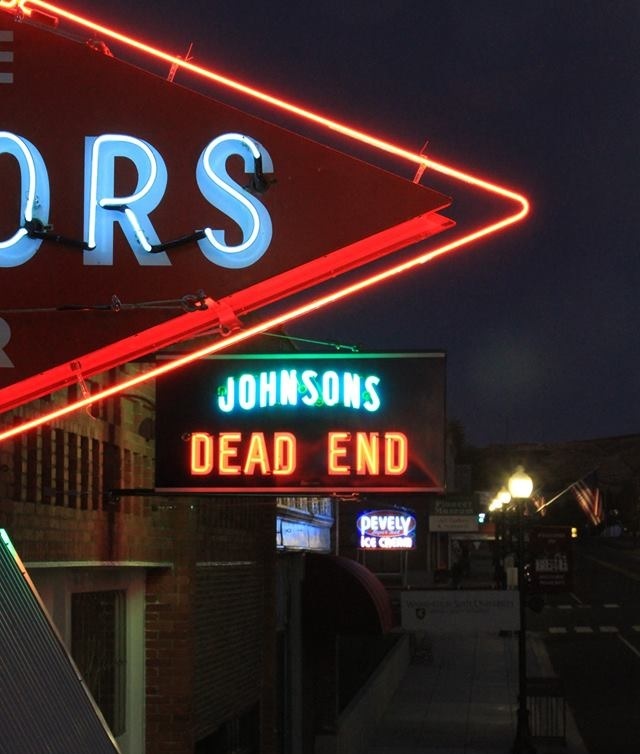 As a private collection, the Lost Highway Museum was, and still is, a completely unique take on displaying neon. Hang with decades old porcelain, point-of-purchase, and display signs. Owner of all these amazing neon objects, David Webb, has been adding to his collection for years, which is generally not open to the public. However, if he is home (and has the time) - he has been known to let visitors viewing rights - along with vintage televisions, arcade games, kid rides, and other unusual items of interest. What’s the coolest neon museum you’ve visited? Share your pick and tweet us @MondoNeon!